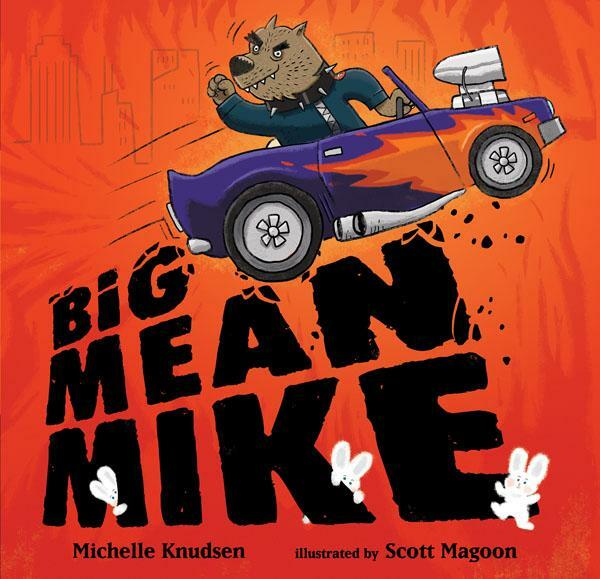 This week First Graders heard Big Mean Mike by Michelle Knudsen and wonderfully illustrated by Scott Magoon. (Thank you, Lucas Hatch, for the Birthday Book donation!) Michelle Knudsen has done it again! We all love her Library Lion and this book, although seemingly very different, captures the similar idea of “going against the grain.” This is the funny and charming story of a big mean dog whose image of being big and mean is very, very important to him. Into his life come four cute, cuddly little bunnies, not at all part of that image. As the story progresses he has to come to grips with his own changing feelings (we used the visible thinking routine called Fluttering Feelings to explore that idea) and finally stand up to a group of bullies to defend his decisions and to protect the bunnies. This was a great way to introduce little ones to the value of being themselves and a way to stand up to those who want to criticize one who doesn’t follow “the pack.” A great read aloud! Kindergarten–Me First by Helen Lester was very interesting to Kindergarteners who are still struggling with that overwhelming desire to be first in line. Pinkerton Pig is pink, plump, and very pushy but he discovers that being first isn’t all it’s cracked up to be especially when you don’t understand the meaning of words that sound the same but might mean something different. Thinking he would care for a sandwich, he ends up caring for a sand witch and at the end of the story he’s still pink and plump but happy to be last. We used the visible thinking routine Fluttering Feelings to track how his feelings changed from the beginning of the story to the end. Second and Third Grades–This week we started reading the nominees for the California Young Reader Medal. Each week for the next five weeks, I read one of the five nominees and then students get to cast their ballot for their favorite. This is always one of the most anticipated library “events” of our year. More next week on the nominees. Fourth, Fifth, and Sixth Grades- This week we talked about the upcoming Battle of the Books that takes place at the Santa Barbara County Schools Auditorium on April 18. After reviewing how the Battle works, a schedule for Friday lunchtime practice sessions, and book list, we divided up into two teams and held a mock Battle using books they had likely read. Lots of enthusiastic Battlers are talking about trying out for our team. This week we also had a lots of eager Bookworms and Red Dot Book Club members join our Library book clubs. What fun! We just received Big Mean Mike in our library and I am very excited to read it to my students. I checked the Harvard website on visible thinking routines that you recommended to me last time I wrote to you, but I did not see information on the fluttering feelings routine. Can you tell us a bit more about that routine? Thank you as always for posting your lesson plans. Fluttering Feelings is a routine that we use to discuss how a character’s feelings go up and down, like the wings of a butterfly. Look at the words and illustrations–how are the character’s (or characters’) feelings changing. Give examples. How did they feel at first, and how have those feelings changed over time? How are they feeling now? What caused the change? What makes you say that? Thinking Moves: analyzing, evaluating, inferring, evidential reasoning, cause and effect. I just stumbled upon this blog and am so impressed with your visual thinking lessons! This looks like a fun book! Is “Fluttering Feelings” a phrase you came up with? I’m just getting my feet wet with VT routines and for our next round of observations next month, he would like to observe a VT lesson. This looks like fun and I just want to make sure I have my “ducks in a row” if he wants to know where “Fluttering Feelings” came from. Hi Catherine. Fluttering Feelings is a routine designed by Joni Chancer, who leads workshops on VT Routines. She’s amazing. She is a retired teacher from Santa Barbara and we have been lucky to have her do several in-services for us. Good luck with your observation. Glad my postings help. Sometimes I feel like I’m just tossing them out there in cyberspace and I love that you find them useful. I love using VT. I’ve been a teacher for over 40 years and this has really transformed my teaching!